Guitarist for Iggy Pop and the Stooges who also worked with New Race and Destroy All Monsters. He started practicing the accordion at age five and picked up the guitar five years later. Rolling Stone magazine listed him as #29 on their list of the 100 Greatest Guitarists of All Time. 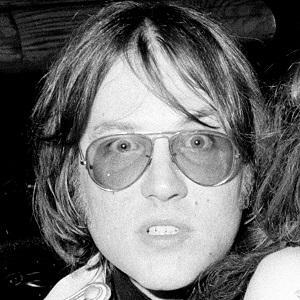 His father, Marine Corps aviator Ronald F. Asheton, died when Asheton was fifteen. The chords and sounds he utilized in Stooges songs influenced Kurt Cobain and many others.